Frosting is so deceptively simple. At its most basic, it is little more than a paste made from sugar. But in that simplicity lies the key to frosting’s enduring charm. We put frosting on cupcakes. We use it to create elaborate images on birthday cakes. We cover sugar cookies in it. And sometimes, when everything else just seems too complicated or labor-intensive, we eat it right off of the spoon. Frosting is so versatile, that it tends to compliment the flavor of whatever it’s coupled with. Frosting has even been used as a deliciously-sweet glaze for certain cooked meats. But frosting isn’t only simple in concept; it’s also simple to make. 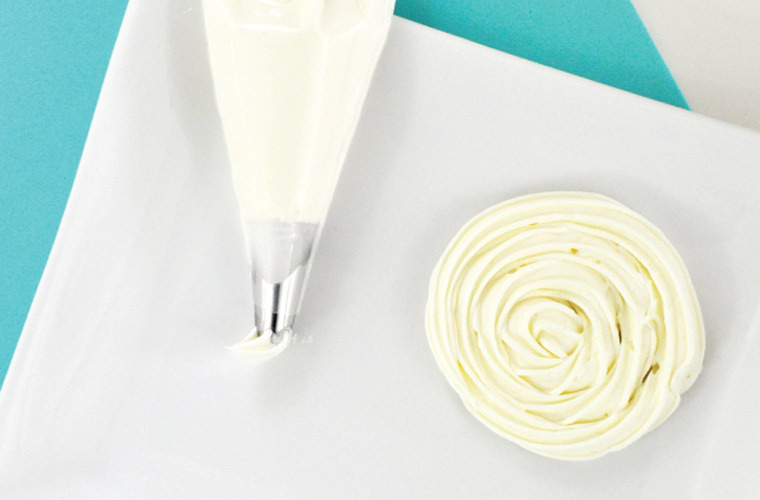 We’d like to share with you recipes for four different frosting bases. Each base has its own advantages and disadvantages, and each base can also be used as a jump-off point to make delicious flavored-icings. 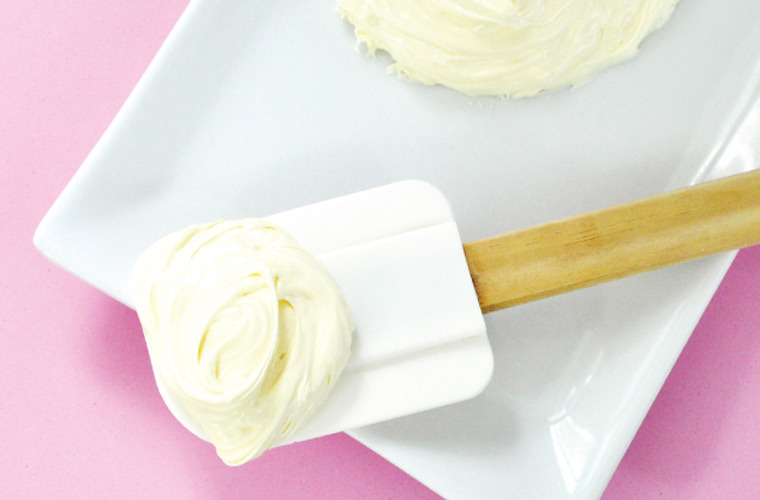 This frosting is perfect for most frosting-related uses. Use it to frost cookies, as a dip for pretzels, to cover cakes, or really for anything else that might need a little bit of icing. Combine all ingredients together in a Blendtec blender, and Pulse until the frosting achieves a uniform consistency. You can alter the consistency of the frosting by adding more milk (for a thinner frosting) or more confectioners’ sugar (for thicker frosting). Use immediately, or refrigerate for later use. If you’re trying to avoid sugar, it might not seem like a great idea to go whipping up a batch of icing. Luckily, we’ve created a recipe for (Almost) Sugar-Free Frosting that is delicious, while still keeping closer to the safe-side of ‘nutritious.’ Why do we say almost? Well, because the milk and the cream cheese that you’ll use in this recipe contain sugar, even if the other ingredients don’t. Still, it has significantly less sugar that you’re likely to find in any other frosting recipes, and it tastes great to boot! In a Blendtec blender, combine milk with pudding mix. Pulse blend until the mixture reaches a uniform consistency, and then allow it to stand for several minute while it thickens. Add cream cheese and pulse blend until fully mixed. Transfer mixture to a mixing bowl, and fold in the whipped topping. Use immediately, or refrigerate (the frosting may begin to run if left at room temperature for too long). Even though it might not seem like an obvious pairing, there’s just something about cream cheese that makes it the perfect compliment to sugary frosting. Who can say why? But even if we can’t identify what, exactly, sets cream-cheese frosting apart from lesser icings, we can give you a recipe for some of the best cream-cheese frosting around. In a Blendtec Blender, combine cream cheese, butter, and shortening. Pulse blend until fully mixed. Add vanilla, sugar, and salt, and pulse blend until mixed. Butter cream frosting requires slightly more involvement than our previous frosting's, but the end result is definitely worth the extra effort. Just make sure to follow the directions carefully. Otherwise, you might end up with something other than you are expecting. In a Blendtec blender, mix the eggs yolks using a low setting, until the yolks have achieved a pale color (as a result of air being mixed into them). Set aside. Mix together the water and the sugar in a saucepan over medium, allowing the sugar to dissolve, creating a syrup. Continue to heat until the syrup reaches 240°F. Begin to mix the egg yolks again in the blender, and slowly add the syrup while the blender is running. Allow the blender to continue mixing. Slowly add butter in small portions while the mixture cools. The frosting should begin to thicken up as you do so. Once the mixture has thickened, add the salt and the vanilla. Pulse blend until the mixture reaches a smooth consistency. Anything else that sounds good! These additional flavorings should be added last. 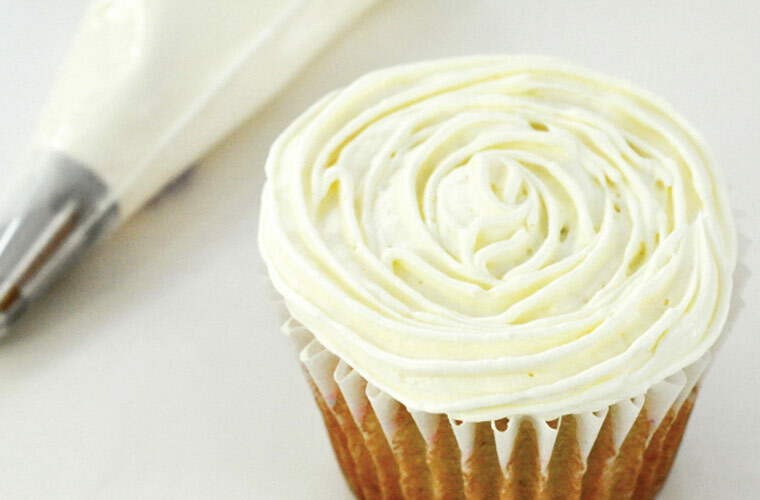 Be careful with overly-juicy or runny additives, as these may alter the consistency of your frosting. 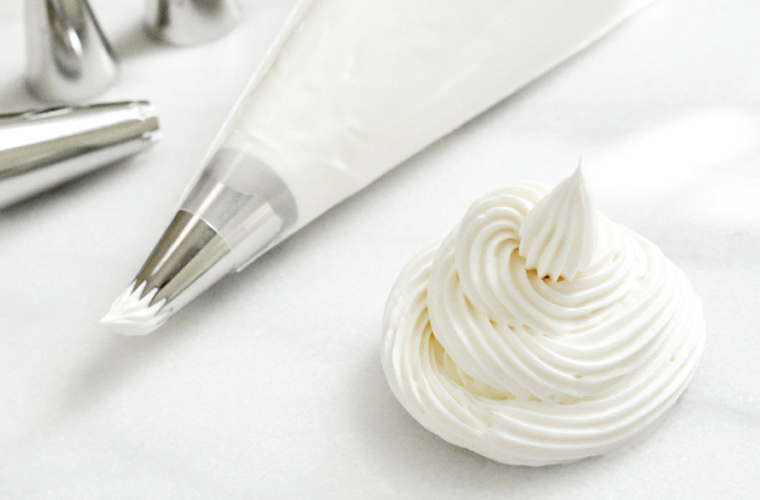 Consider hand mixing in the final flavor additives, rather than blending, and taste a sample portion of your frosting with the new flavors so that you don’t have to risk an entire batch in order to sample it. Try these flavors, mix and match them, or come up with something completely new. Get creative, and see what kind of flavors your frosting goes best with. After all, basic frosting is wonderful, but coming up with something new is more than just icing on the cake. WOW super! very simple and easy to do. Thanks for sharing your recipe with us. But i have one suggestion, first time I am going to do cake items so i don’t have the proper idea, shall you share recipe with image.